﻿A scientifically proven alternative to Pilates﻿. Our Bounceback program is designed for people of all levels of ability and fitness. It is an ideal choice if you wish to build and maintain a strong, healthy back and core. One to one sessions are targeted at a range of abilities, ranging from those with minor low back pain or recovering from surgery - to athletes and sports professionals. A pre and post ViMove+ assessment. 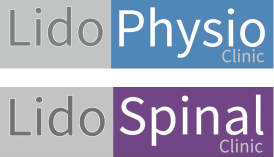 This is a functional movement assessment to analyse your spinal mechanics and provides valuable data on how you move and specific areas that need strengthening. 8 sessions led by specially trained and qualified physios. Graded and progressive exercises to challenge your progress. Strengthening of your back and core muscles. 1 to 1 sessions, therefore a progress plan based completely on your individual needs. Unique access to online exercise videos to continue and maintain your progress at home. Developed and based on measured scientific research. Our Bounceback program now includes a ViMove+ assessment, before and after your 8 sessions. This will provide you and the trainer with vital information on your spinal mechanics and optimises your progress through the sessions. Please click below to download our BOUNCEback leaflet.